Storing financial information in a digital, machine-readable format reduces manual work and strengthens the role of financial management in advising the decision-making process. Financial reporting: €256 million per year. VAT reporting: €420 million per year. Processing, digitizing, and reviewing invoices and giving advice: €4–5 billion a year. Calculations by the The Ministry of Economic Affairs and Employment of Finland and the industry on the administrative burden of financial management speak for themselves. The Finnish technology company Tieto and the Aalto University School of Business have researched and developed Real-Time Economy in a joint project since 2006. During the past decade, the RTE program has grown into a global development initiative with sister projects in the other Nordic countries (Nordic Smart Government) and in Estonia. Real-Time Economy refers to an environment in which all data flows between different organizations are digital and available in real time. It is based on structured data stored in a machine-readable format, which means that orders, order confirmations, invoices, and payments are transmitted from one system to another efficiently and without delay. 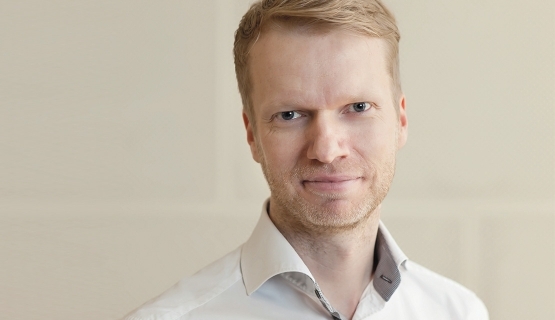 The benefits are obvious, says Esko Penttinen, Director of the Aalto University Real-Time Economy Competence Center. “If you receive a paper invoice, you must first manually enter the invoicing information in your accounting system before the invoice can be processed, whereas a structured e-invoice is transmitted directly into the invoice processing system in a machine-readable format. In a B2C context, this means the customer’s online banking system, in a B2B context, the purchase invoice processing system,” Penttinen says. Although the carbon footprint of a single invoice is small, the multiplier effects are monumental." This makes it possible to move to digital archiving, accounting, and VAT reporting as well as to automated financial management processes and real-time cash flow management. Financial statements can be transmitted directly to a digital analysis system. Automating routine processes lightens the work load and reduces costs. In addition to reduced process costs, utilizing structured data and automation brings along environmental and service benefits. According to a study made by Finance Finland, an e-invoice has a significantly smaller carbon footprint than a paper invoice. The carbon footprint of a single paper invoice is 450g, whereas the carbon footprint of a single e-invoice can be as low as 150g. “Corporate financial management units process massive volumes of transaction documents. The number of invoices sent in Europe every year, for example, exceeds 30 billion, and even in Finland, the number is over 500 million. So, although the carbon footprint of a single invoice is small, the multiplier effects are monumental,” Penttinen says. Automated processes also help increase efficiency and free up resources to focus on better service. Penttinen believes that process automation may also create tighter bonds in B2B customer relationships, reducing the willingness to change suppliers. According to Penttinen, Real-Time Economy may also entail surprising benefits and innovations that we’re unable to even envisage yet. He compares the situation to when Apple opened up its AppStore to third party developers. It caused a surge in the number of apps and made AppStore a forerunner in innovation in the technology, culture, and entertainment industries. “We may see a similar flood of innovations when all financial data flows are in a machine-readable format,” Penttinen says. According to Penttinen, there is no dark side to data flow automation. Penttinen says that problems caused by moving to digital financial management are mainly related to it being a process that forces both people and organizations to change the way they operate. He admits having experienced bouts of frustration at how slowly things progress. All kinds of technological transformation processes proceed extremely slowly at the national level." There’s a lot of talk about the transformation of work, not least in the financial management sector that subsists on processing information. “I believe that the transformation will be significantly greater in the financial value chain than, for example, in mechanical engineering. Data automation, machine learning, and various AI tools will have a major impact on financial management,” Penttinen says. Accountants, for example, will focus less on manual tasks and more on activities that create more added value and have a higher price tag. The transformation of work leads to the need to continuously upgrade one’s skills and knowledge. Penttinen encourages everyone to open their eyes to the benefits provided by structured data and the impacts of digitalization. Critical perspective is also needed, for example, when choosing new tools. Pressure is also caused by the constantly evolving legislation. One example is the rule that all European listed companies must move to digital financial reporting by the year 2020. “Financial management must be able to respond to these changes at ever greater speed,” Penttinen says. Aalto PRO's "Business Controller liiketoiminnan strategisena kumppanina" program and Aalto EE's Aalto Financial Executive program are developed for the financial management.